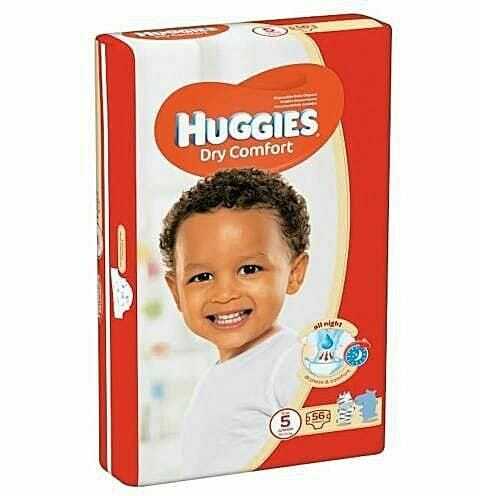 Keep your baby happy by treating it to the royal-level comfort and secure dryness that comes with the super dry Dry Comfort Diapers from Huggies. Thanks to the proven Huggies Leak Lock System, a snug fit waistband, and a unique tri-fold layer that locks wetness away quickly, the maxi diapers are some of the driest nappies ever, offering your baby a unique system that absorbs moisture in seconds to help keep skin dry and irritation-free. Developed to keep your baby’s skin drier and healthier, Stayfree Maxi Pads has skin protection in two layers: a super soft liner, a secure wetness lock layer, and a breathable outer cover that combines to create the unique unrivaled fast-acting system. Made specially to cater even for very active babies, the stretchy waistband and firm fasteners gently sit around your baby’s waist, resulting in a snug and comfy fit that allows the baby freely explore the world and comfortably move around as it continues to grow and develop.